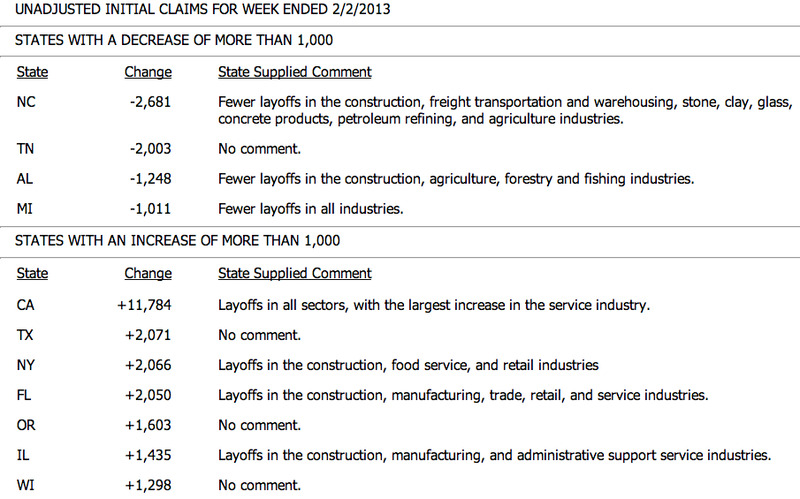 UPDATE: Weekly jobless claims data are out. Initial claims rose to 362,000, above estimates of a rise to 355,000 from the previous week’s 341,000 new filings. Continuing claims rose to 3.148 million, just below estimates for a rise to 3.15 million from 3.114 million in the previous week. 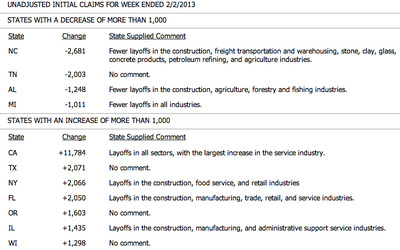 Bloomberg reports that four states had to estimate claims, due to the holiday-shortened week. ORIGINAL: Minutes away from the release of weekly jobless claims data, due out at 8:30 AM ET. Economists estimate that initial claims rose to 355,000 in the week ended February 16, up from 341,000 new filings the week before. Continuing claims are estimated to have risen to 3.15 million from 3.11 million in the previous week.